An intricately detailed staircase leads to the central wing’s second level. Its walnut treads and top rail harmonize with the welded steel rod railings. 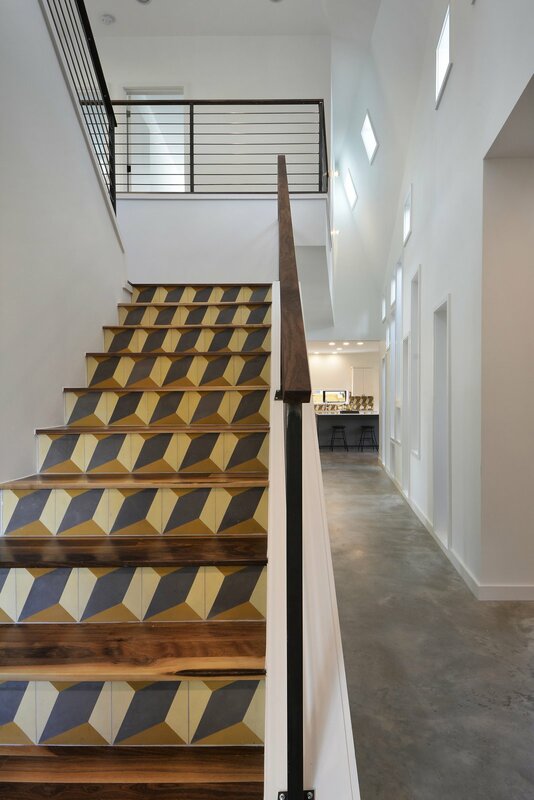 The geometric pattern on the staircase’s risers comes from encaustic tiles that were handmade in Tuscaloosa, Alabama.